In Australia we take it for granted that our children can access music in so many ways. Most kids will get the chance to strum a guitar, tickle the ivories or learn a tune at some stage in their childhood. 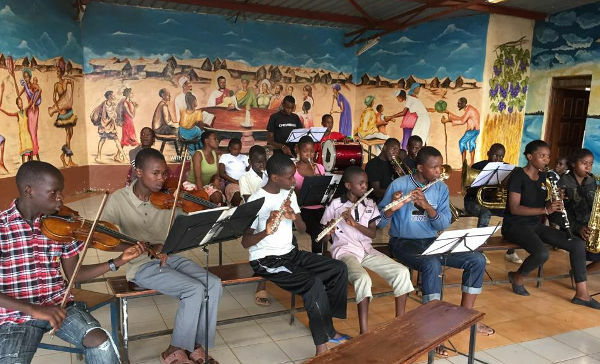 Half a world away, an Australian music school is giving African children the same opportunities – and you’ve never seen happier kids! Sydney-based Australian Music Schools is this year celebrating its 25th anniversary – and what a way to mark the milestone! 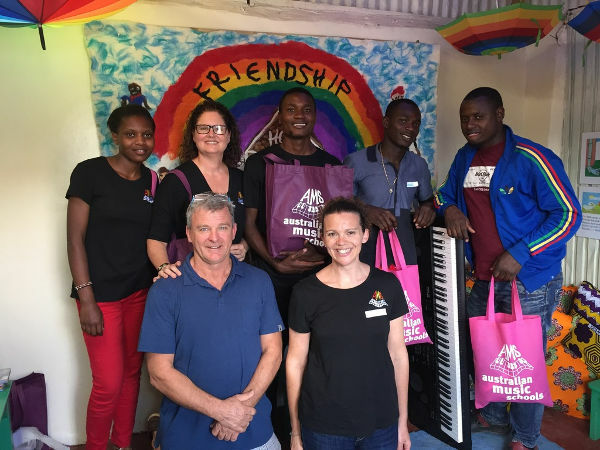 A small team of dedicated teachers has just embarked on the challenge of setting up a music program in Kenya. 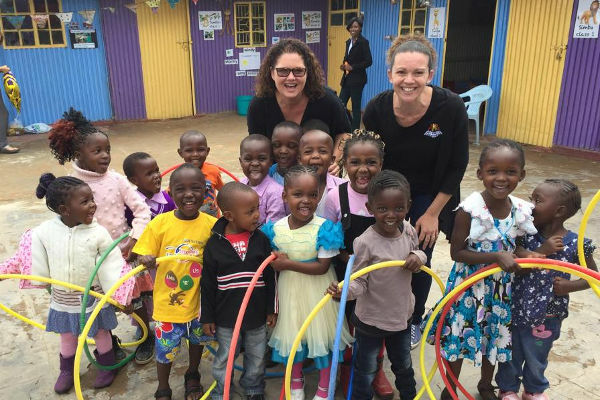 Last month the teachers travelled to Nairobi, where they trained young tutors who will now be able to teach AMS courses to children aged between two and six. AMS Director Michelle Madder says the program has been many years in the offing, “For several years now, my husband has been scheming and brewing and trying to come up with a way of taking the AMS course material, concept and training to kids far less well off than our average clientele. He loves what we do at home but is aware of millions of kids without the remotest possibility of a good music education (or any at all)”. 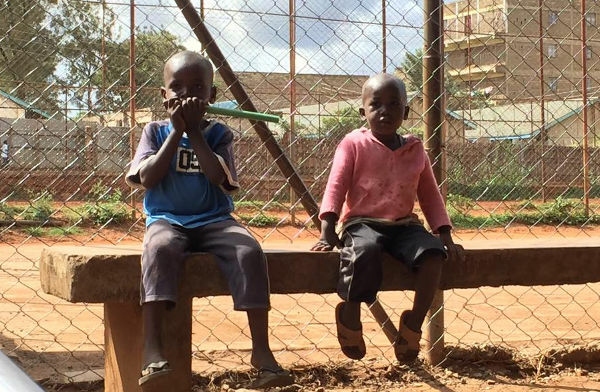 The team worked out of a preschool close to the Kibera slum, and the tutors were once slum children themselves. The aim of the education program is to train and inspire, and provide the tutors with a source of income. The AMS teachers said despite being the poorest of the poor, the people were welcoming and the children happy. 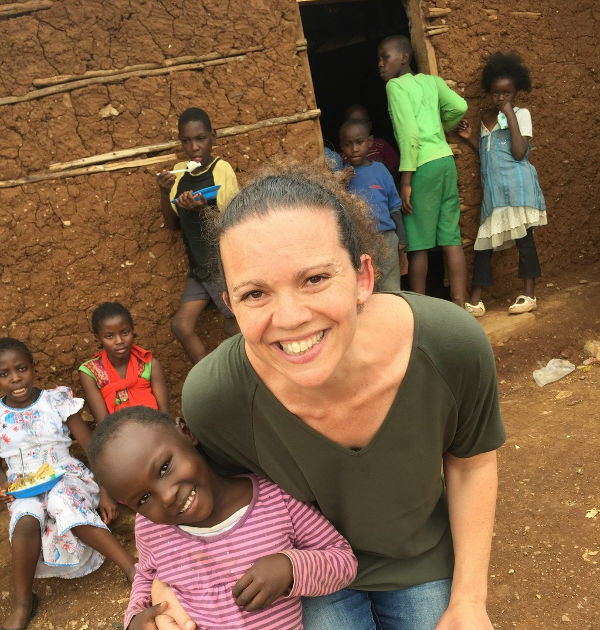 While they were in Africa, the AMS teachers held classes and even held performances with the children. AMS provided equipment, course materials and training, and will also continue to inject financial support to maintain the program. Australian Music Schools provides music classes for children from two years old, at several locations around Sydney.